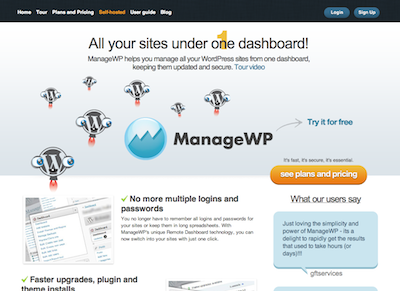 ManageWP helps people manage multiple WordPress sites from one dashboard. There is nothing similar on the market. Next post: IsHostedBy.com – Who is Hosting That Website?